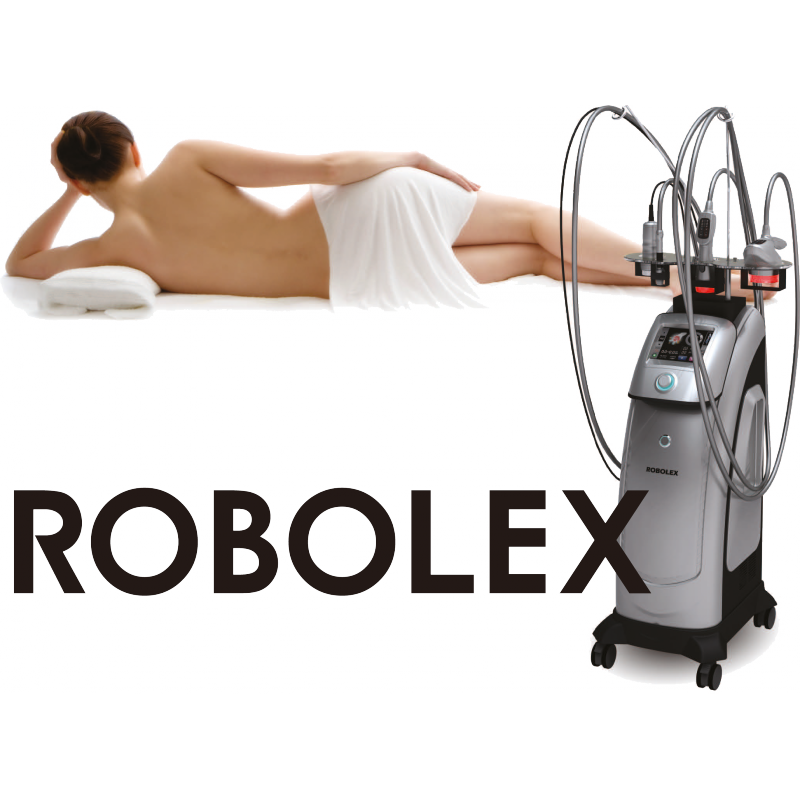 ROBOLEX is a multifunctional body contouring device that combines Ultrasonic Cavitation, Radio Frequencies (RF), Low Level Laser and Vacuum Suction. By enhancing the blood circulation and lymph drainage of dissolved lipocytes, the elasticity of the applied area is maintained by using the Vacuum Suction. Ultrasonic cavitation technology is a non-invasive technology based on ultrasonic waves, which generates empty micro bubbles in the liquid situated in the interior of the adipose tissues that confronts fat cells. Radio Frequencies infiltrated 5 to 15mm into the skin. Oxygen is put intracellular by heat. There is rapid drainage of dissolved lipocyte from the body to the outside of the lymph drainage and blood circulation, which maintains the elasticity on treated area. This treatment helps dissolve fat and create skin elasticity using low level of 655mm laser. A low level laser energy treatment is applied to stimulate fat cell membranes and change their permeability. The cells will then lose their round and intracellular fat for a physical slimming effect. Vacuum negative pressure helps the reduction of cellulite, something that is difficult to solve by dieting and exercising. Not only does it improve the edema by reactivating the muscle function and softening skin tissues, it helps improve skin quality. The massage effect of the vacuum is used for particularly blocking vessels and helping circulation of lymph. Thus, loose skin can be avoided.